Station moulds traced from lofting onto 20mm plywood and set up on building box. 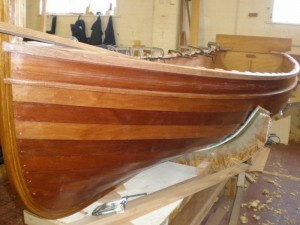 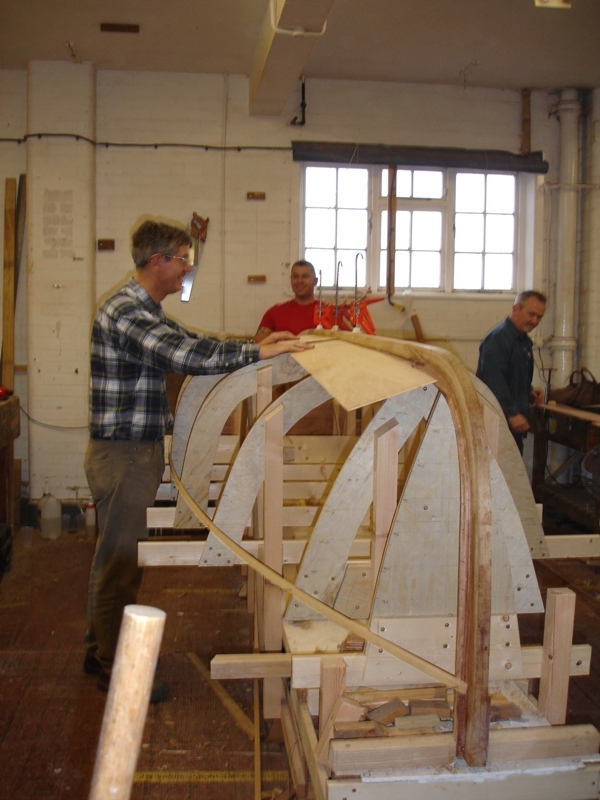 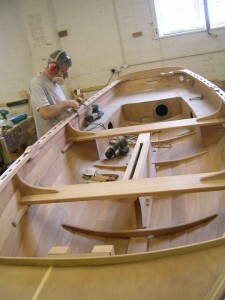 Laminated keel, stem and transom attached. Rabbet marked out from lofting and cut. 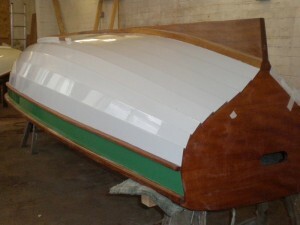 Sheer batten fixed and planks lined off (9 planks per side). 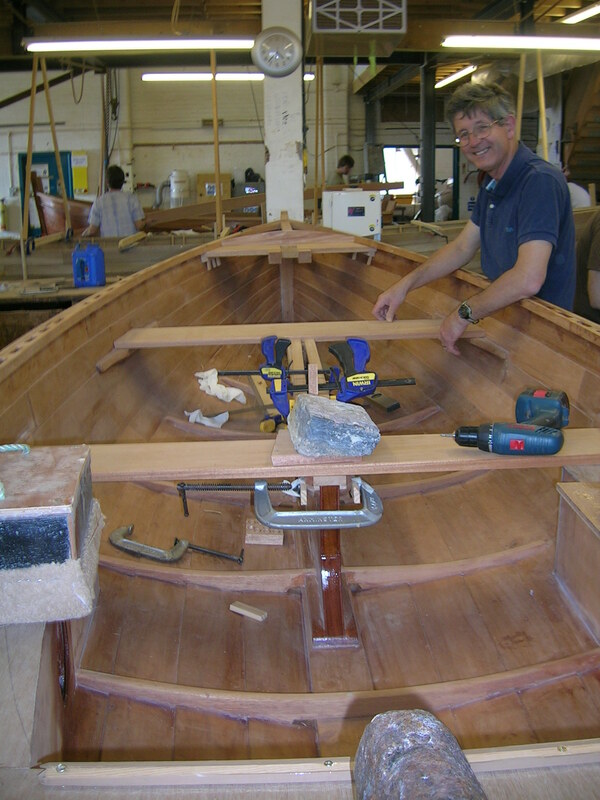 Photo shows spiling batten in use to determine the shape of the garboard strake. 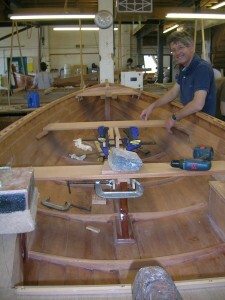 Lands (lap) bevelled or “browed” and gerald (gain) cut adjacent to stem. 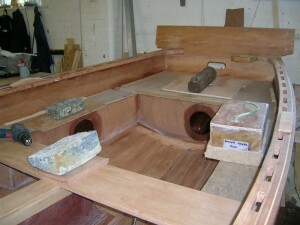 Land coated with epoxy and next plank glued in place. 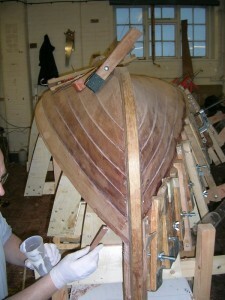 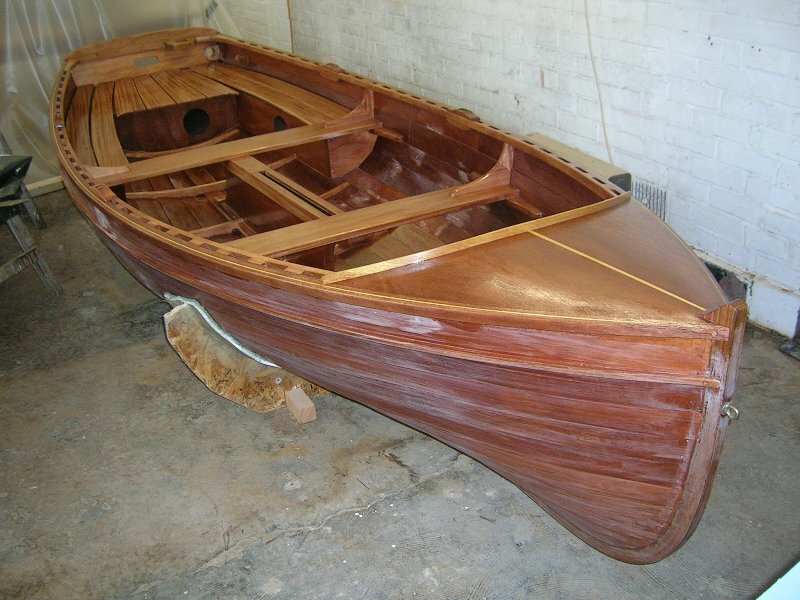 Screws temporarily fasten hood ends to stem and stern.